The National Sugar Refining Co. (NSRC) was established in 1900 by the consolidation of the Mollenhauer, National and New York refineries. It controlled 13 sugar mills in Cuba under a series of different corporate names and reorganized several times, making following its interests somewhat complicated. James Howell Post (1859-1938) and his cousin and Yale graduate Thomas Andrews Howell (1877-1930) of the firm B. H. Howell, Son & Co. which managed all company affairs, were president and vice-president respectively. Other prominent members of the firm were the Bunker & Mollenhauer sugar refining interests, Lorenzo D. Armstrong, John Farr, James Stillman , William Rockefeller and former Congressman from Texas Robert B. Hawley . Their first incursion in Cuba was shortly after the end of the Cuban War for Independence when B. H. Howell, Son & Co. invested $150,000 in Ernesto A. Longa's Central Mercedita. By 1902 the B. H. Howell, Son & Co. interests had already acquired Central Constancia from the Marquis de Apezteguía and Central Caracas from José Emilio Terry Dorticós & Bros. The Guantanamo Sugar Co., though not part of the NSRC, was controlled by B. H. Howell, Son &Co., was established as a Delaware corporation in 1905 by Brooks & Co. of Ernest and Paul Brooks of British origin. Later on, James H. Post was added as investor culminating in its control by the NSRC in the 1920’s. 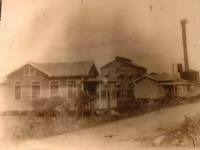 It operated three sugar factories near the city of Guantanamo, (Los Caños, Isabel & Soledad) and had over 100,000 acres of land. It also owned 81.5% of the Guantanamo Railway that provided transportation to the port of Deseo. 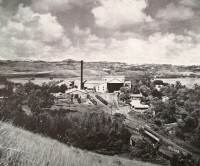 In May 1920 the NSRC began an expansion program with the establishment of the Cuba-Santo Domingo Sugar Development Syndicate. Although it is likely there was a relationship between the NSRC and the American Sugar Refining Co., it was never clearly stated. The Louisiana Planter and Sugar Manufacturer edition of December 20, 1924 states that negotiations were completed the week prior for the purchase of the NSRC by the American Sugar Refining Co. at a cost of $16.5 million in cash.